On the 13th to 16th of September 2016, FFAC continues to be very grateful to all the sponsors to support the bicycles. 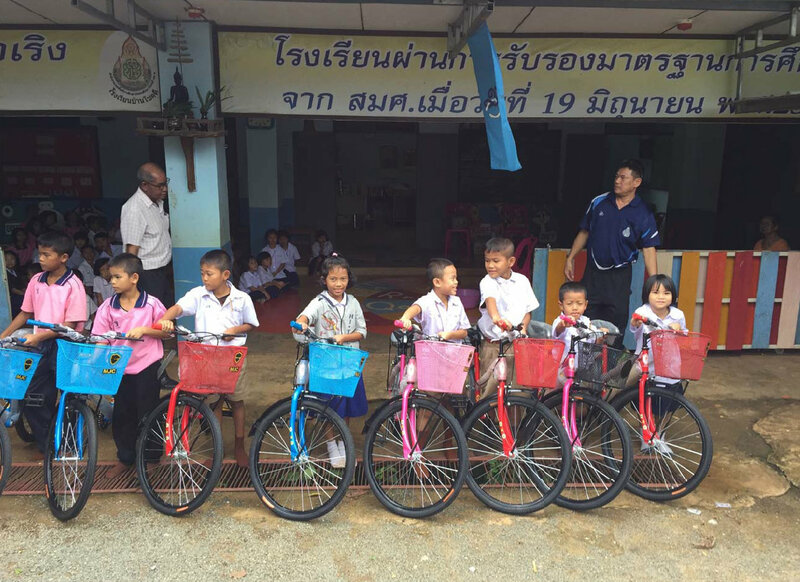 This time the distribution were arranged as with the help of the kind sponsors from Singapore, Canada, Australia, & Italy, a total of 50 bicycles were donated throughout the three schools at the province of Chanthaburi. Chanthaburi is located on the east of Thailand and with a known as city which thrives from fruit cultivation as well as gemstones. 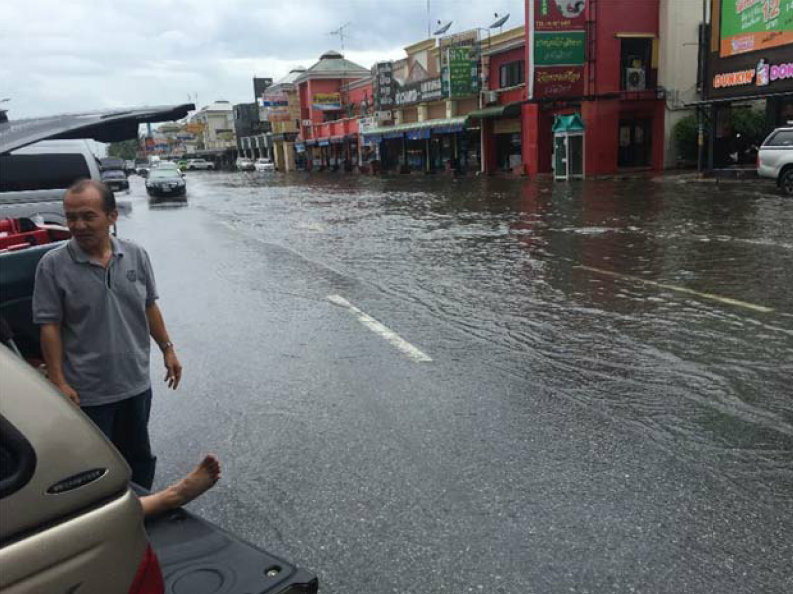 It was a long drive almost about 4+ hours from Bangkok to Chanthaburi Province. On top of that there was heavy downpour. 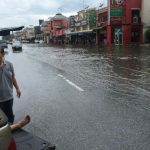 We were a bit concerned as to how this would hinder our progress of our activities for the week, as floods could occur anywhere, and certain areas would have slippery roads. 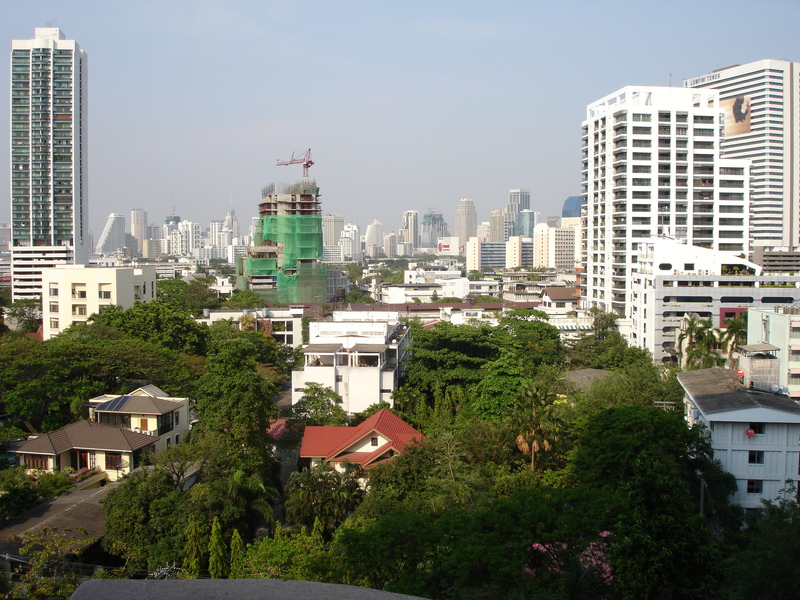 So an invocation for Divine intervention was done, and we are truly grateful, that from the day of service till our return to Bangkok, the skies were bright, with not a hint of rain. 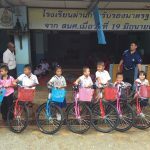 On Wednesday the 14th off September we visited the BANNAMTOKPLIEW SCHOOL where originally 19 bicycles were to be distributed. Most of the parents work as gardeners and laborers. Some of them came to join on their children’s receiving the bicycles. 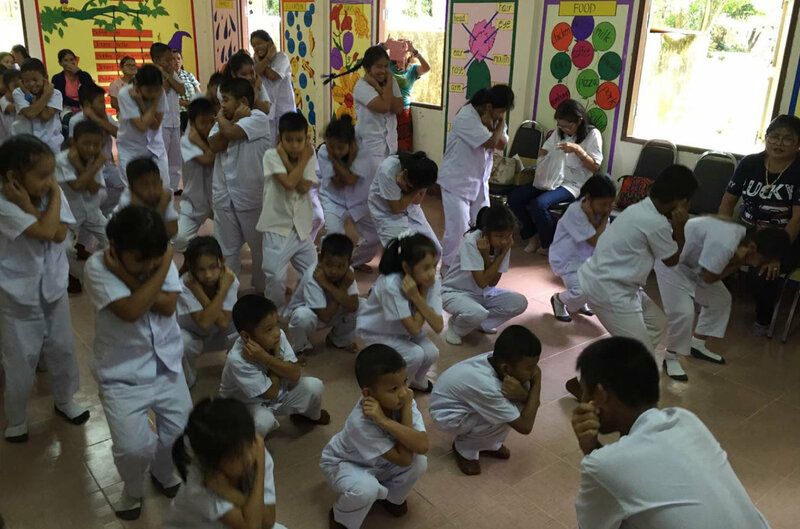 We made activity of exercises yoga with them. After which a demonstration was done on the benefits of Superbrain yoga, which the 70+ students participated in joyfully. 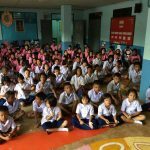 For the next day the 15th of September 2016, we visited the BAN CHOK DEE SCHOOL in KHLUNG DISTRICT. and Khmer, and most from refugee families. The smile of the students, to see that there were visitors to visit them was already a big welcome enough. Here a total of 13 bicycles were distributed. The students were made to repeat the words LOVE, JOY, HAPPINESS, HEALTHY and SMILE five times, so that they can understand the power of these words. They went on to construct sentences like I AM LOVE, I AM JOY etc. 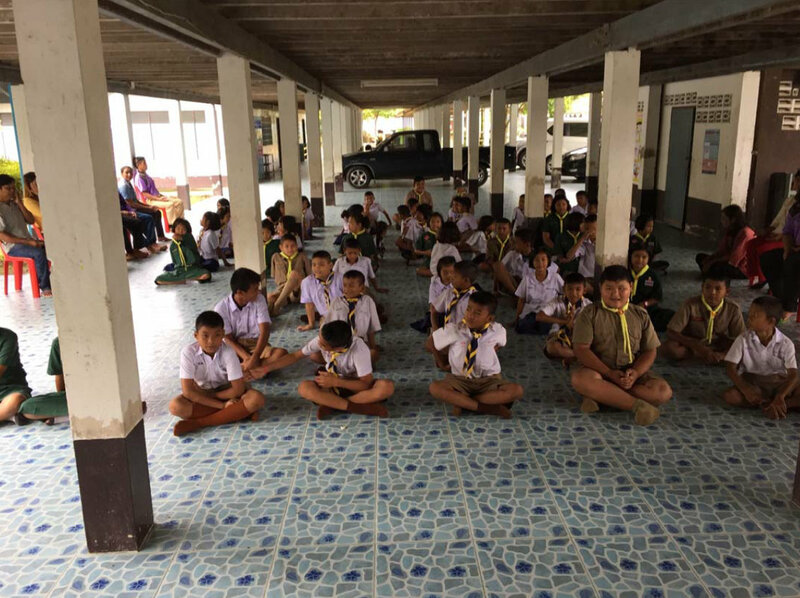 The last school which is BAN KHLONGPONG SCHOOL in THA MAI DISTRICT was visited on the 16th of September 2016. 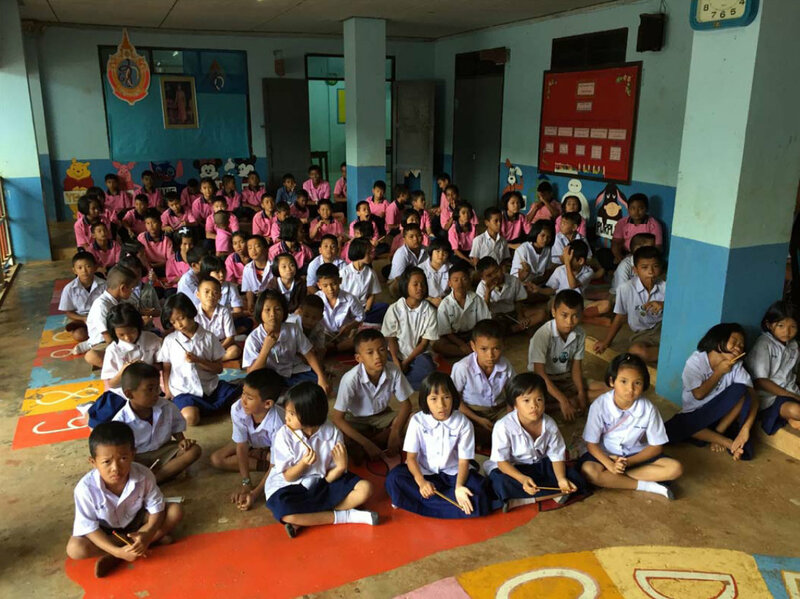 Here the students are from Cambodia, Lao, Thai, Burma. 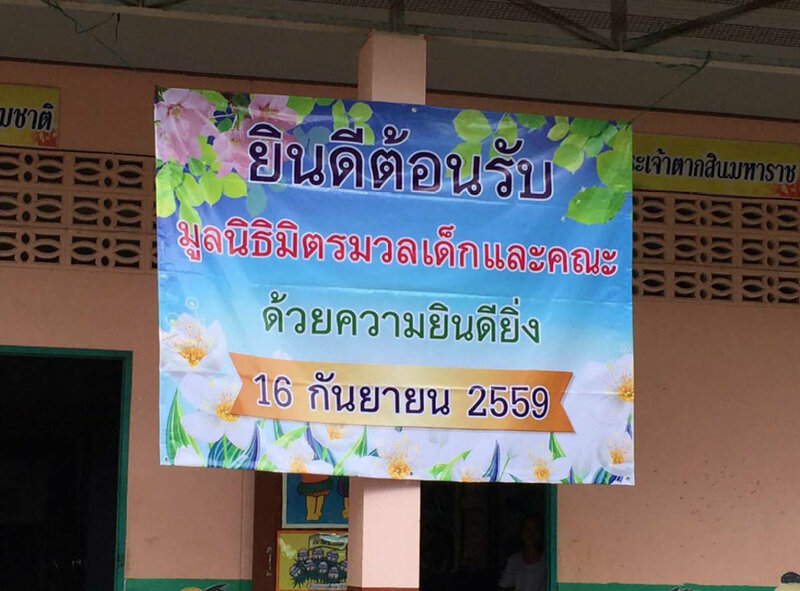 The school is about 56 years old. 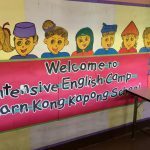 In this school there are 7 teachers and out of which 4 are fully paid for by the government, and so the remaining teachers are funded through donors. The parents of the students here work as gardeners and laborers. There was a good lesson that we learnt from this school. 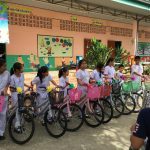 This school was well aware of the donation of 18 bicycles to be made to the students of this school. When you receive gifts, we usually tend to say with gratitude our thanks you’s receive and go along our merry way. 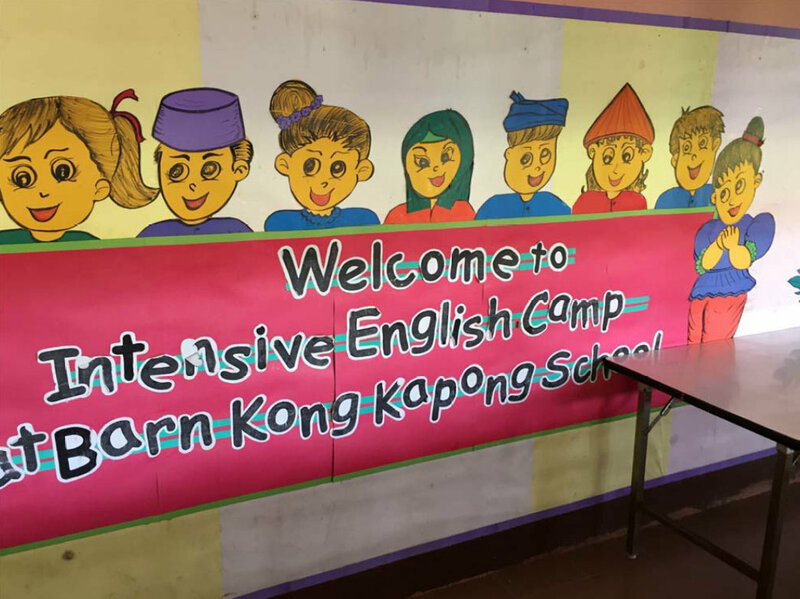 But this school wanted to be an active participant not just in the receiving but also in the giving. 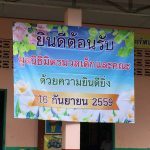 They made banners to highlight our arrival, they arranged the bicycles in a neat orderly manner, they even dressed in the teachers even dressed in traditional Thai costume. All this to show their appreciation and to show that they too are involved in the act of receiving and giving. 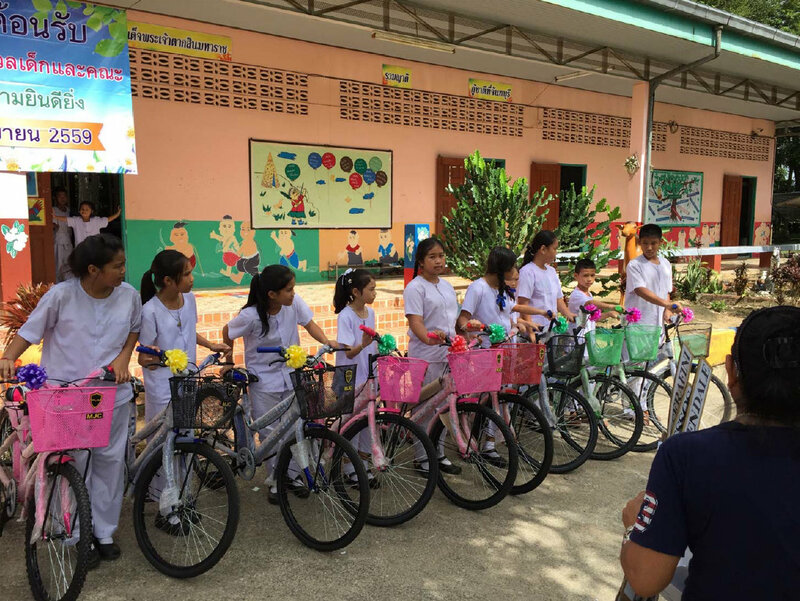 We told and showed the photo of the bicycles sponsored who they are the students too such as Brackendale Elementary School in Canada or Assumption College, Warwick in Australia, who raised fund on the “Kindness crew 2016” for the bicycles. 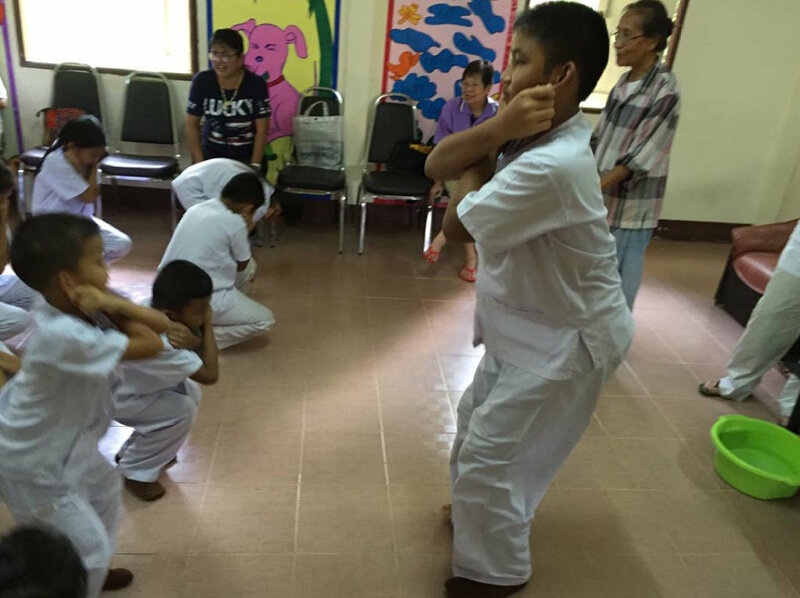 Here too the parents came to join the big day of their children, we also made an activity for exercise yoga and Super Brain Yoga was demonstrated to the kids, with an active volunteer participant from the school. Thanks again to all the generous sponsors!